Update to the final version of Android Lollipop has already rolled out for Infinix Hot Note and Infinix Hot Note Pro, and most users have already updated theirs. This update comes with bug fixes and the XUI rom is upgraded to 1.N.1.1. How to Install Official Android 5.1 Lollipop Latest Build on Infinix Hot Note & Hot Note Pro? To install this update on your Infinix device, you’ve to download recommended ROM depending on which of the devices you use. 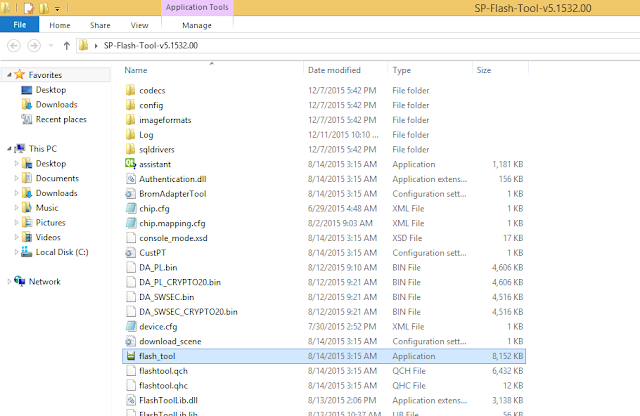 How to Flash Infinix Hot Note/Pro Stock Android 5.1 Lollipop Latest ROM using SP Flash Tools? Step 6: Now, locate the “MT65XX_Android_Scatter.txt” file, which is on your desktop, also endeavor to click on the “Format All + Download” option just as circled in the image below. Step 7: After that, click download to begin flashing process, as circled in the image below. That’s it. Once the above process is completed, disconnect your Infinix device, reboot and wait for few seconds to complete booting process and your device will get to home screen. You can check on about phone and you’ll see that your device is running on the latest build Android 5.1 Lollipop operating system. If you’ve any question, feel free to ask via comment section. Don’t forget to share this update with your friends on social networks.